Visit us at booth number 209! 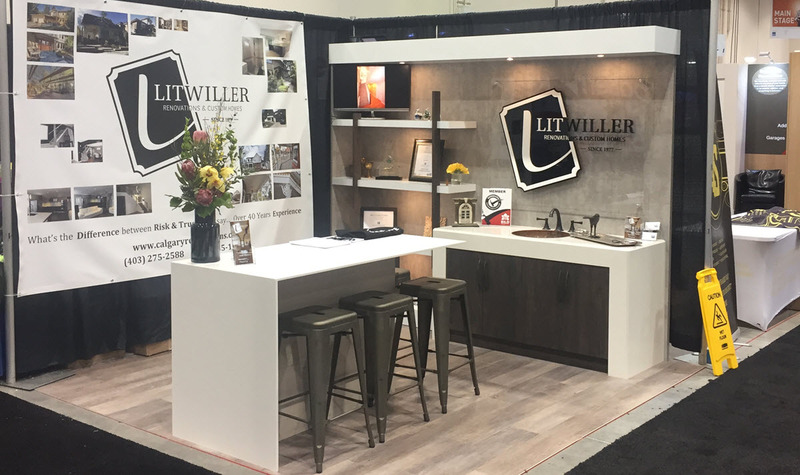 It’s official — we’ll be back again at the Calgary Home Renovation Show in 2019! We love being able to meet and talk to people about their upcoming projects. Whether through a simple conversation, or something more, we are excited and passionate about helping Calgarians with their home renovations. The Calgary Home Renovation Show is a great time to grab a coffee, walk around, and meet tradespeople and suppliers who can help you with your home renovation. You will learn about the latest developments and advancements in the industry, as well as the best new products on the market. Get inspired for your own project as you browse through the latest styles and trends for the upcoming year. The Calgary Home Renovation Show showcases contractors of all sizes, from simple handyman services, small contractors looking for small jobs to huge companies capable of complex, large-scale work. Litwiller finds itself in the middle of this spectrum, best suited for projects with a budget of between $50,000 and $500,000 and specializing in whole house additions or alterations in the $200,000-400,000 range. With so much competition today, researching, finding, and interviewing several potential contractors can be a lengthy and daunting task. The show is a great opportunity to meet with several general contractors all in one day and gain a preliminary understanding of their individual business models in order to choose the best fit for you. A home renovation is a big undertaking and finding the right contractor that you can trust is always worth the effort. Make sure to stop by our booth #209. We would love to get to know you and answer any questions you may have!